The starboard messdeck passageway contains sonar equipment that was added during the late 1950s to boost the range and power of the post-war SQS-4 sonar. 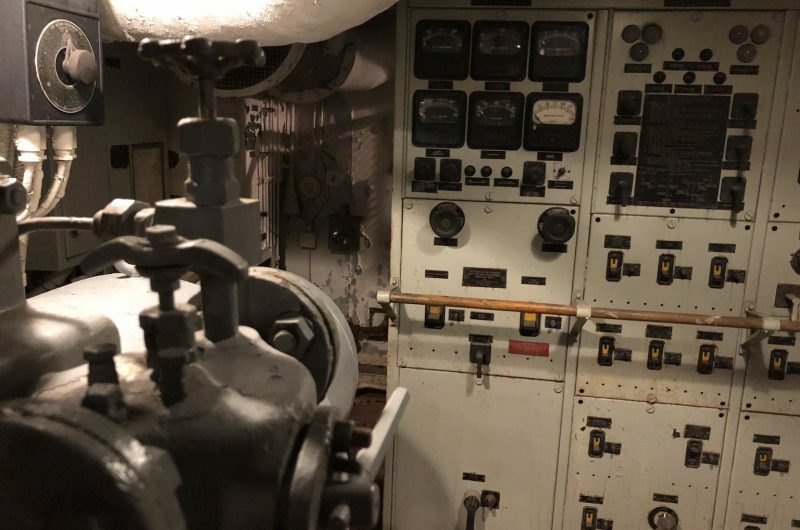 This is one of the few areas aboard ship—like the post-war Mk-25 fire control radar equipment located in the old Stewards Berthing—that is not consistent with the KIDD’s target restoration date of August, 1945. 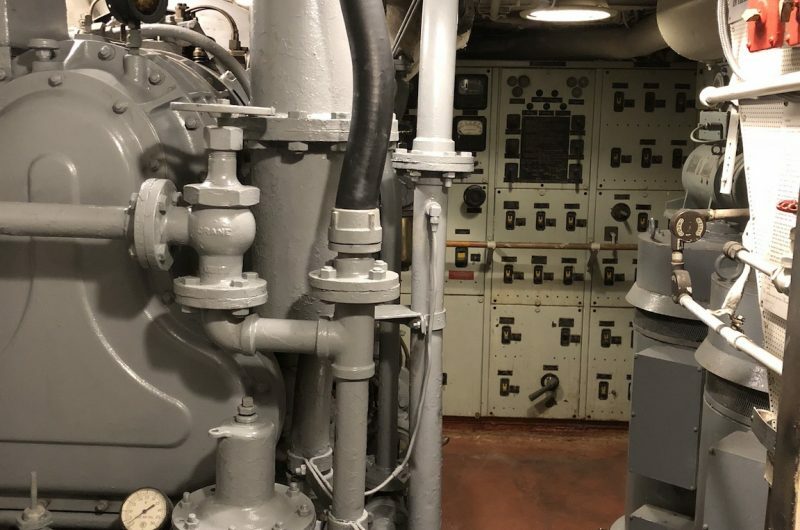 The compartment aft of the sonar amplifiers contains the ship’s emergency diesel generator, a three-cylinder General Motors engine coupled to a 100 KW generator. If normal electric power were lost, this engine would come on automatically and supply power to the ship’s systems which were considered most vital for defense until normal power could be repaired. 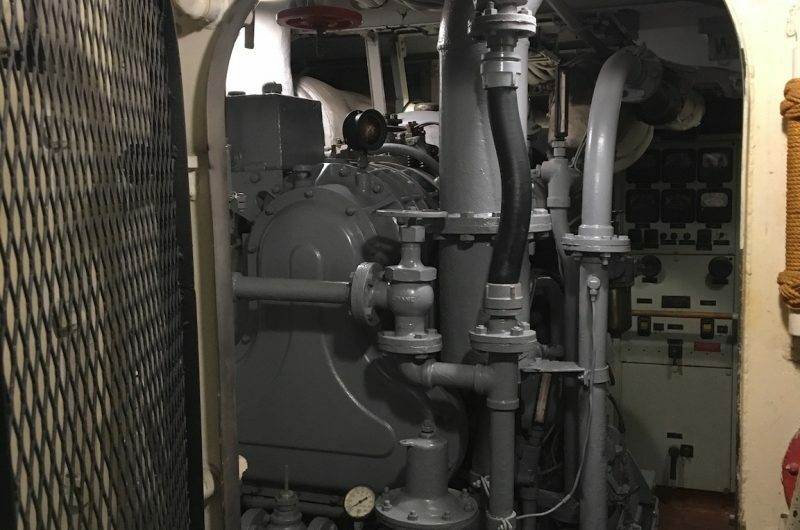 Either engine room generator could feed most of the equipment aboard ship, but should both fail, this diesel unit served as a secondary back-up system for the primary back-up. 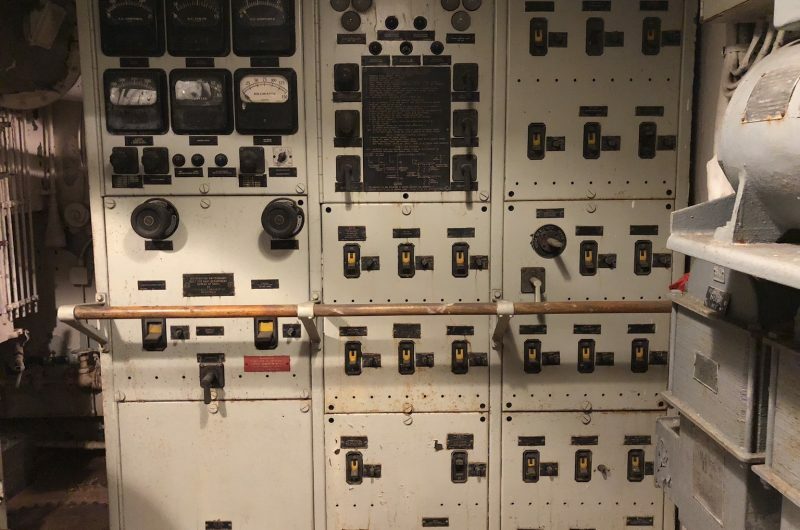 Whenever started, the emergency generator would deliver all of its power to the steering gear room at the rear of the ship until it had enough power to handle the hydraulic pumps there. Then, it would pick up the rest of the emergency load as it was designed. As the saying goes, “A ship without a rudder is a ship lost.” Several ships off Okinawa that may have been lost to battle damage were saved by this generator that enabled them to keep the lights and pumps going.